Say NO To Buying Second Hand Or Used Body Armour! You cannot imagine how much it upsets me when I hear again and again that yet another security professional has purchased used body armour. What a great question, and I very much hope your answer is a given. The English saying ‘better safe than sorry’ makes more sense within personal safety than in any other field. Professionals whose responsibilities include dealing with hostile members of the public simply should not gamble with their own lives. Just like the previously mentioned parachute, a used body armour could have been stored inappropriately, it could have been ill-treated or it could have simply passed its shelf life. Never mind the fact that the previous owner might have suffered from an assault wearing the very same body armour, leaving the body armour structural damaged (often invisible to the human eye). 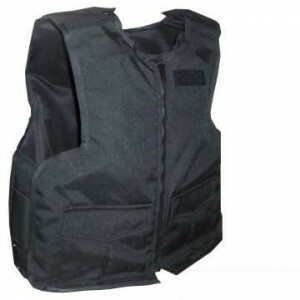 Any of these issues could potentially lead to a major performance loss and lead to the defeat of such body armour… which could subsequently could lead to the loss of your life. In 2009, NIJ funded the Police Executive Research Forum (PERF) to conduct a national survey of police officers. Among other things, the survey examined what officers knew about caring for and maintaining their body armor. The survey revealed that while most officers are reasonably knowledgeable about body armor care and maintenance practices, a substantial number did not adhere to the practices they do understand. Well… your used body armour… the one you just purchased… what do you know about its history? Well, you might say, money is a major issue in today’s financial climate and body armour are not the cheapest of all products. Yes, you are certainly right with such statement, but gambling with your life cannot be the solution. Go to a reputable body armour manufacturer, explain your situation, make a case and give it your best shot. Sometimes they will listen.. and sometimes they will want to help as much as they can to see you be safe. There is another saying, which makes quite a bit of sense: “You pay peanuts you get monkeys’, meaning if you expect from a product to save your life and if your life might well depend on it… you will have to pay a certain price for it. If you are a true professional and really want to be the best you can be, then you really should understand that being ill-equipped or purchasing low quality equipment can have a colossal impact on the outcome of certain situations you may well have to face one day. Of course, many people have recognised the potential financial gain used body armour can make and try to flog them via eBay or via army surplus stores. What can I say? These are not the places a true security professional should be looking for when in need of a body armour. But let us forget the financial gain for a second and think of the morals behind it. Are these individuals selling used body armour not somewhat gambling with our friends, associates, colleagues or family members’ lives? Whatever they state and whatever they claim they have apparently done to ensure the quality of their used body armour… as someone who knows a thing or two (or more) about this subject matter I must say that I don’t believe a word. Not because I believe they are all bad guys, but simply because in my professional opinion it is absolutely impossible to guarantee the protection level of a used body armour without extensive and costly re-testing. A used body armour, especially when older than four or five years old should be returned to the original manufacturer for a professional re-evaluation using the latest technology, and if the subsequent test reports make it crystal clear that body armour is still performing to the level expected then the manufacturer could look at re-issuing a manufacturer’s warranty.